Deanna Whitfield, who works for Dogs Deserve Better, a rescue for chained and abused dogs, thinks so. You might agree after meeting one of her rescues, a sweet, neglected Pit Bull Terrier named Capone, in The Divinity of Dogs: True Stories of Miracles Inspired by Man’s Best Friend. In July 2010, I received a call from a good Samaritan named Vivianna who was worried about a twelve-month-old Pit bull terrier named Capone. She told me he had no food or water and that her family often fed him. She reported that the dog was chained in a concrete yard with no shelter from the sun and had been on that slab since he was a puppy. She said she had watched, day in and day out, as his owner ignored him. It was a searing 104 degrees outside when I reached the tan-and-cream-colored dog named Capone. He had no food. There was no water. And, not surprisingly, the dog was an empty shell. He looked at me with absolutely no expression on his face. He had no energy. He didn’t want to play. And why would he? The pads on his feet were burned. He was defeated and broken. You could see he had nothing to live for. He had surrendered to his confinement. It may sound crazy, but when he looked into my eyes with such despair, it was as if he was begging me to help him. I truly believe our souls connected and I knew exactly what he was asking me to do. 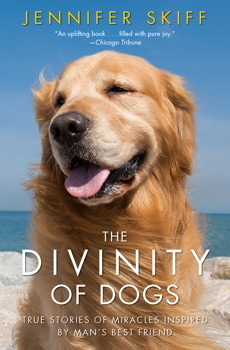 For that brief moment, that divine moment between us, he wagged his tail. I turned back and looked at Capone as I was leaving. His head was hung low, and he was staring at me, asking me why I hadn’t done what he had asked. I promised him I’d be back. I went to the house to speak to the owner, who was breaking at least three California animal-cruelty laws. Vivianna came with me, offering to translate my English to Spanish. I explained to the owner that the state of California had a tethering law. It was against the law for him to chain the dog outside. I gave him a copy of the law. I also explained the other violations and why it was considered cruel to deny an animal food, water, and shelter. After I made my case for Capone, I asked the owner if he would release him to me. I explained that if he would release him, I would need a few days to find him a foster home. My request was met with arrogant dismissal. He didn’t care about the dog, anyway. Sure, I could have the dog, but if I didn’t take him on the spot, he would cut him loose into the neighborhood. The area where Capone was confined was known for its illegal dog-fighting rings. If he was released and became a stray, there was a good chance he could be picked up and used as a bait dog. This couldn’t happen. I came to an agreement with the owner. He would give me three days to find a foster home for him. After that, he was cutting him loose. 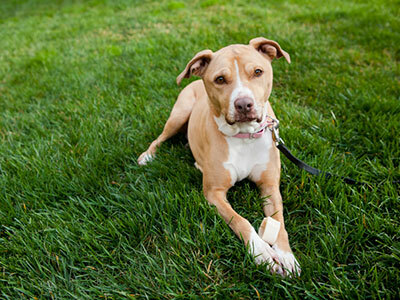 It’s not easy to find a foster home for a Pit bull, especially on short notice. The public’s perception of them, thanks to the people who abuse them and train them to fight, makes them fearful of the breed. I scrambled to find a foster home by making phone calls to volunteers and by sending out mass e-mails. I also visited Capone to make sure he had food and water. I wanted the owner to know I wasn’t going away and that I’d make good on my word to pick Capone up on the third day. Each day, Capone sat there defeated. And each day, I promised him I’d be back. The look in his eyes haunted me. I couldn’t sleep at night. On day three, my time was up, and I was ready. My niece and a volunteer came with me. As I approached Capone, he didn’t smile or wag his tail. He remained empty and hollow, void of spirit. I gently placed a new collar around his neck, attached a leash, and gave a little tug. He was confused. He sat down near his chain and looked at me. I told him this wasn’t his life any longer. After a few more tugs and a coax with a jerky treat, Capone slowly walked out of his concrete prison. And then I witnessed nothing short of a miracle. As Capone’s feet touched the grass, he lifted his head high, inhaled the freshness, and looked up at me, asking, “Am I really free?” In his eyes, there was nothing but pure happiness and joy. He was vibrant, alive, happy, and energetic in an instant. I saw his soul awaken. Capone was placed in a wonderful foster home and taken to a veterinarian, where he was neutered, given shots, and treated for a bad case of roundworms. On October 8, 2010, Capone was adopted to his forever home. He lives indoors with a loving and caring family. He is spoiled rotten and is free to roam the house and an acre of land. I visit as often as I can, and when I do, he sits with me, stares gratefully into my eyes, and gives me big, wet kisses. I have always been passionate about freeing chained dogs, but Capone’s story and his gratefulness to me have always been a bit unbelievable. I saw deep into his lonely soul, and many times over, he has thanked me for freeing him. Dogs do have many of the same feelings we do. They feel despair, heartache, sadness, and loneliness. They also feel gratitude. Share Do Pit Bulls Have an Undeserved Bad Rep?